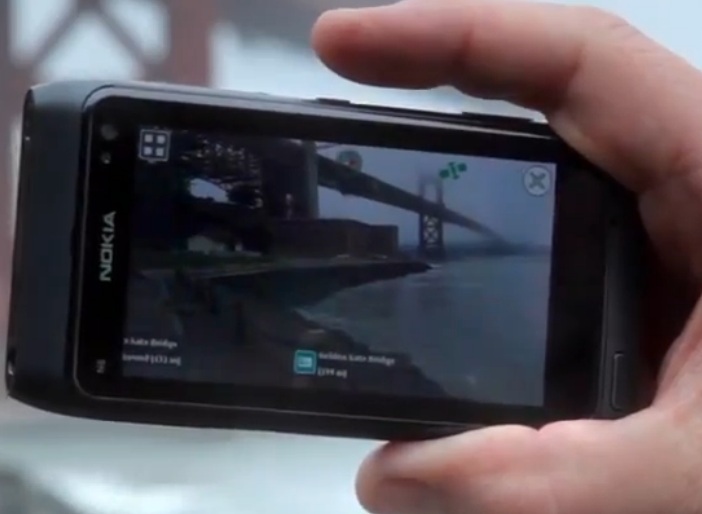 A new experimental prototype application has appeared on Nokia Beta Labs called “Nokia Live View”, an augmented reality type app. I’d expect something like this to eventually be integrated in Nokia handsets – perhaps as part of the mapping which already powers turn by turn directions for Nokia Live View. Nokia Beta Labs would love to hear from you with feedback on the product and any enhancements that you could think of to make this a better product.